I had heard so many raving reviews from friends about Prague that it was a city I was expecting a lot and it was indeed the perfect place to conclude my trip! I only stayed 2 nights there (I should have stayed one more night) but I had enough time to visit the most important things and take a good walk around the city. The main site to visit is the Castle of Prague, which is the biggest castle in the world. In the past, it was the castle of the monarchy and later of the emperor. The castle is kind of its own little town, sitting on top of a hill. 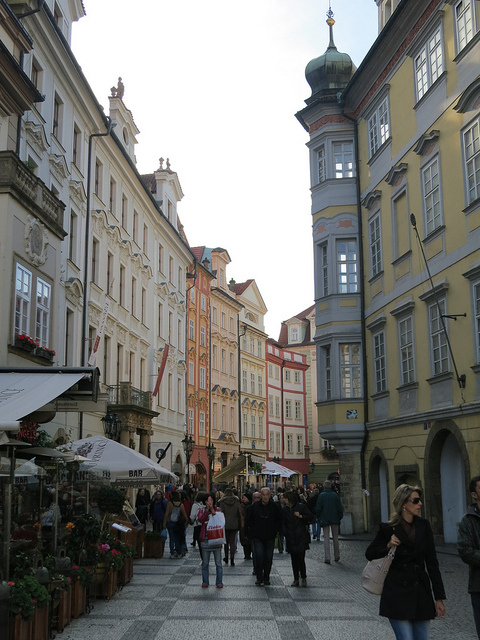 They are many housing and administrative buildings, a Gothic style cathedral, the St Vitus cathedral, and a reproduction of an old street with workshops. 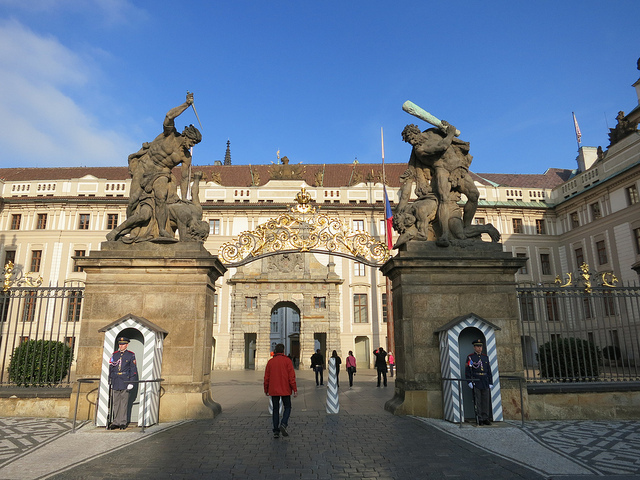 I’ve opted for the long tour which gives you access to the castle’s museum and which can fits in small budgets because there are not that many things to visit in Prague. Not far behind the castle is Loreta which is nice to visit for its unique style and the unique chime of the clock tower. The best way to go back down to the old town is through the Petrin park then crossing the Charles Bridge which is full of tourists but a must see. The old town is really beautiful; I liked it a LOT! It’s full of small and tortuous streets, nice buildings and small squares. In some oddly way, a couple of streets reminded me of Paris. I must say that I wasn’t expecting such kind of vibe and architecture and was very pleasantly surprised. The food and the drinks are really cheap and Prague is of course famous for its party friendly vibe. They are bars everywhere which serve all kind of beers at 1€ a pint! Prague was the perfect place to end my trip, it was beautiful and I had some good fun. I think I’ll definitively need to visit more of the Czech Republic which seems to be a beautiful country. Expect a recap post in the next few days on my 2 weeks long backpacking trip.